Having contractors in at your school it is always a challenging experience, never mind during term time. A good construction team can make all the difference. 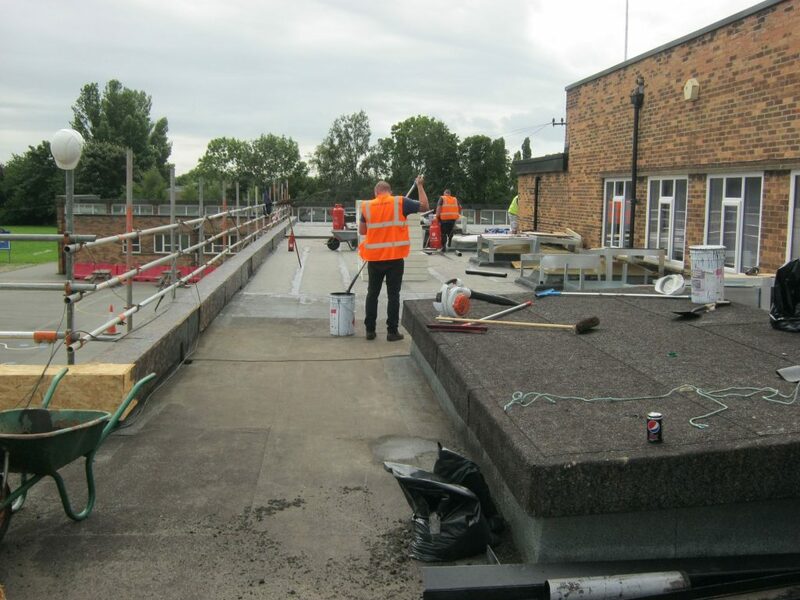 In this article in our series about a live school roof refurbishment project we talk to Geoff Robinson, Project Manager at D3 Associates about the particular challenges of reroofing a school building during term time. D3 Associates are a multidisciplinary practice of professionals who have been working with the school we are featuring for two years. The practice includes surveyors, project managers, building services engineers, structural engineers and CAD technicians, so they often act as a single point of contact with a school, which can be very reassuring. Multi Academy Trusts will have inherited their schools from a local authority, may have little expertise in building management, and some of the schools may be in a poor condition. The team can survey the condition of all the Trust schools and put together a management plan which will determine which work is urgent, and which can wait for 5 or ten years. D3 Associates’ role in this project will be will be to provide architectural drawings, project management, cost management, and building surveying. They will also act as Contact Administrators and Principal Designer under the CDM Regulations. Roof specialists SIG Design and Technology were brought in to carry out the roof surveys. SIGD&T’s Ian Dryden used his expertise to carry out a detailed condition survey sufficient to provide evidence for a funding bid, including evidence for where the roof is failing and the reasons why the work needs to be done quickly. Ian’s specification for the work allows Geoff to obtain a budget cost from local contractors, which helps the school know the funds needed for the project. Schools generally must provide 20% of the funds, so it is important to have an accurate estimate of the cost of the project, so schools can plan to get that sum together. Once the bid is approved, Geoff runs the tender process to select a contractor to carry out the work. Once the project is underway, Geoff carefully manages the project to ensure it stays on budget – crucial for schools who are not in a position to go over budget. SIG D&T carry out inspections throughout the project and on completion of the final inspection and handover, SIG issue the relevant flat roofing warranties to the school for their records and provide advice and assistance on maintenance. What are the main issues a School Business Manager should be aware of when re-roofing a school? 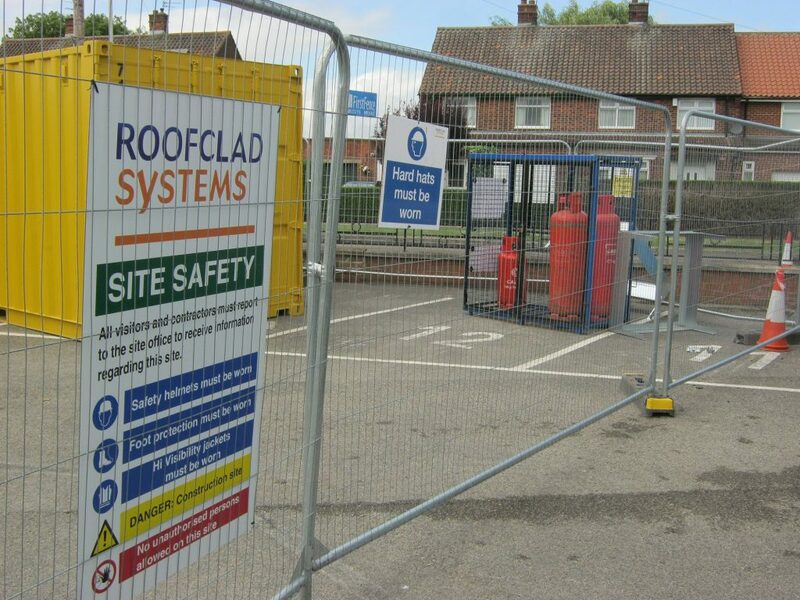 “Firstly, avoiding risks on site is essential whenever work is being carried out. Many projects will take more than the six weeks of a school summer holiday, so timing is essential. Close management with the school on how works will proceed is always important, so as not to interfere with the operation of the school. “Secondly, we need to clearly identify the work that needs to be done. A schedule of works including the drawings and specification (a detailed description of the work) is essential, so the contractor knows what work is required and can price accurately. “Choice of contractor is also important. We will pick a tender list of 5-6 contractors who have experience working in schools, and are financially stable with a good safety record. This will considerably reduce the risk to a school of having works done. As well as the value of local experience a contractor can bring, schools often like to work with a local builder because it can start a mutually beneficial relationship which can often develop into other work in future. 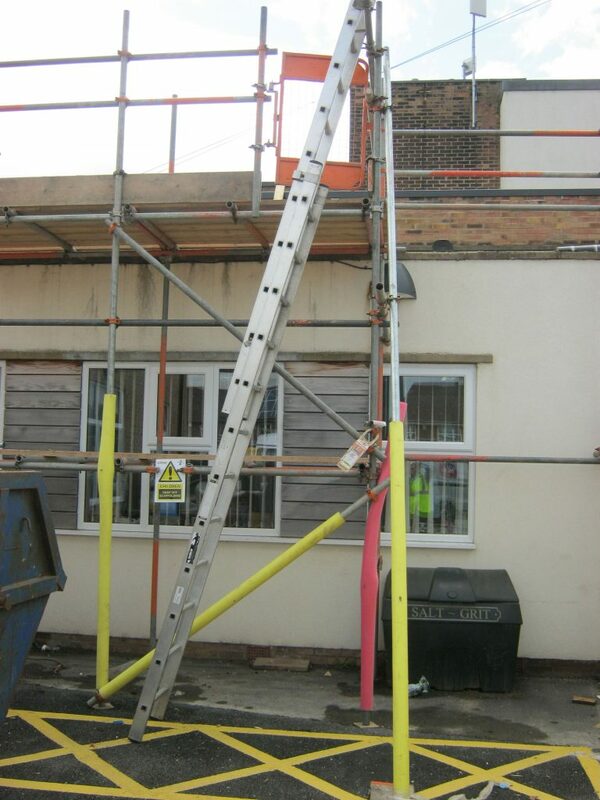 Perimeter Scaffolding keeps workers safe whilst they are on the roof. What issues are particularly pertinent when Reroofing a School Building During Term Time? “When planning to carry out a re-roofing project during school term times, it is even more important to have good communications with the school team,” Geoff explains. The Contractor’s Construction Phase Plan during term time will need to consider the additional risks associated with a functioning school. No overhead works will be carried out in areas of the building that are in use, for example. With this school, work is also scheduled so that no work will be carried out close to the playground. Deliveries will not take place during school hours but will be coordinated to happen when the risks are minimized. Clearly the arrangements already mentioned show how important engagement with the school is before the project commences, but term time working also emphasizes the important of continual engagement. Geoff explains how keeping students on side is also essential when you’re working on a school during term time. Students are naturally curious, and Geoff recommends an informative approach is the best method. “We’ll usually have an assembly where the contractor will explain to the children what is happening and why,” he explains. “This makes sure they know what is going on, and we can build in some safety advice at the same time. 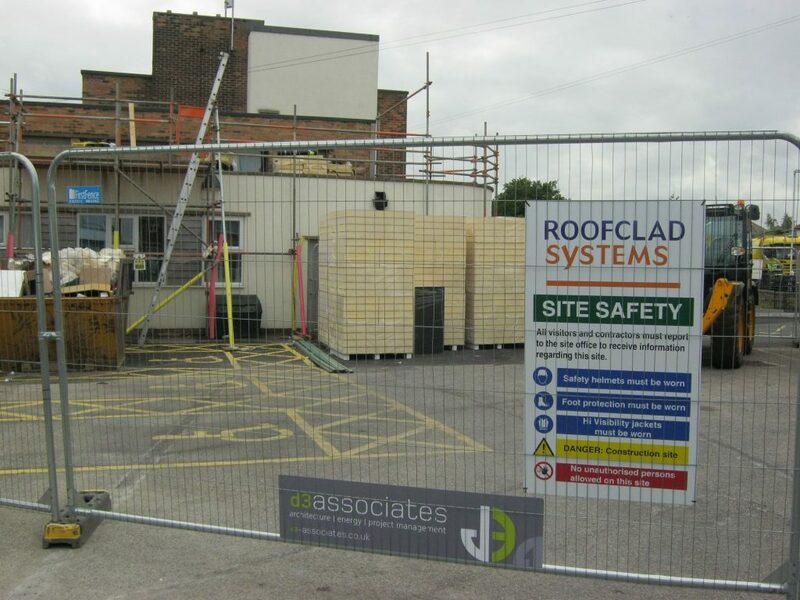 Sometimes students are concerned about the safety of the building, and we are able to reassure them.” Geoff also recommends that pupils can see into the site (perhaps through a low-level window) rather than be fully blocked out by wooden hoardings which might tempt some to scale them. Geoff concludes that the most important thing to remember is to help in the planning and preparation by providing as much information about the operation of the school as possible. This helps the contractor prepare, not only ensuring safety and security, but also avoiding additional costs. If the contractor is informed later about work restrictions, they may need an Extension of Time to complete the works, and this can increase costs. Next time we’ll be covering the first stages of the project and reporting on how it is progressing. Don’t forget to sign up to receive the next post via email using the form below. The Considerate Contractor Scheme has a ‘Best Practice’ Website with a wealth of material about school related best practice. Why not check it out?